These lemurs are so cute, I can’t even. 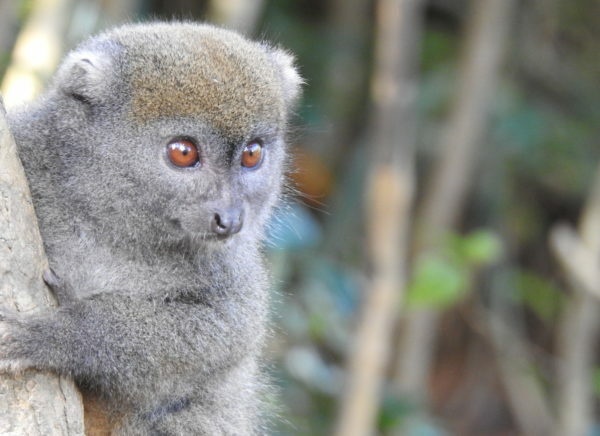 Easter lesser bamboo lemurs (Hapalemur griseus griseus) are adorable in part because they are small — about the size of a garden rabbit, though much better at climbing trees than leporids are. But I also love their round eyes and the way their short snouts make them look almost like monkeys. Don’t let they’re cuddly adorableness fool you. They don’t actually like to be cuddled — at least not by humans — and they are super tough, able to digest the large quantities of cyanide present in bamboo without injury. If you tried to eat that much bamboo, you’d be dead.